Nicknamed the “Flying Tigers,” the S.D.U. has been listed among the most potent Special Forces in the world ever since its activation in 1974. The unit leads both police and military operations, over sea, air, and land. Liu Tze Long, codenamed Lesion, is the latest addition to Team Rainbow. His resilience to physical hardships is what set him apart from other candidates. “He was one of the three Operators who was able to withstand an extreme version of the S.A.S.’ Resistance to Interrogation Program,” said Daoud-Brixi. Lesion is known to take his work seriously, and to expose himself to high-risk situations on a daily basis. This lack of consideration for his well-being has been judged as arrogant by some, and has often alienated him from his peers. But this natural drive to withstand difficult situations is also what pushed him to volunteer for mine disposal duty, which launched his career. Lesion’s first operation was lead in Indonesia, Op. Green Viper. The laptop of a Malaysian physicist, who had recently joined an extremist group, was found in Macau. Its data revealed research on a biological weapon consisting of a bubonic plague bacteria obtained from animals. Liu teamed up with two S.A.S Operators, codenamed Smoke and Thatcher, to infiltrate the physicist’s laboratory and neutralize every trace of the substance. As this was Lesion’s first successful mission, the trio stayed an extra day in Macau and filed the event as an off-duty bonus. 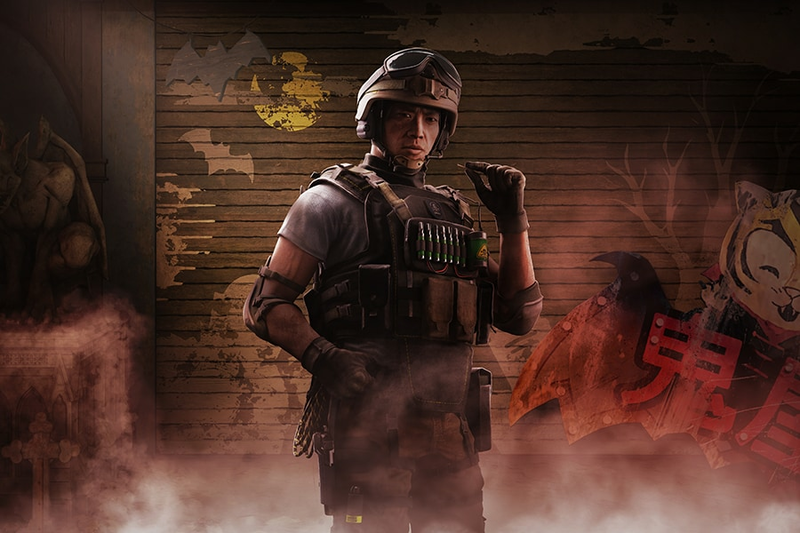 Representing Hong Kong’s Special Forces, Lesion will be wielding the T-5 SMG and SIX12 SD as primary weapons, and the Q-929 as a secondary weapon. To learn more about our new Operators, be sure to tune in during the Pro League finals at Gamescom on August 26th on twitch.tv/rainbow6.